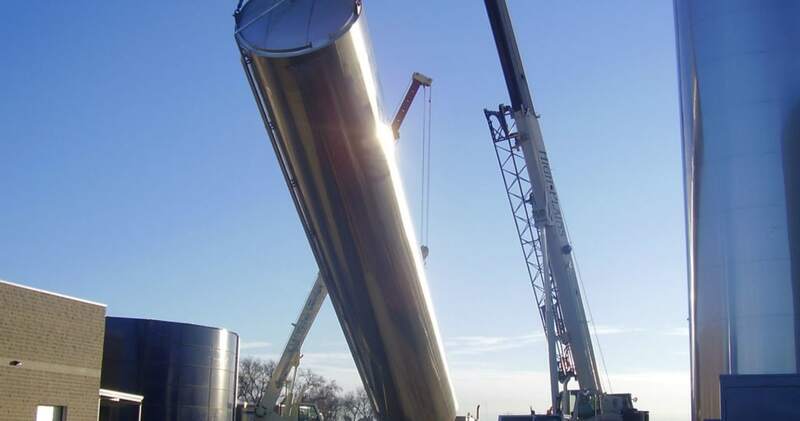 We used our 35 ton crane and 120 ton crane to lift these massive storage silos into the air, and place them safely into position on their pads. 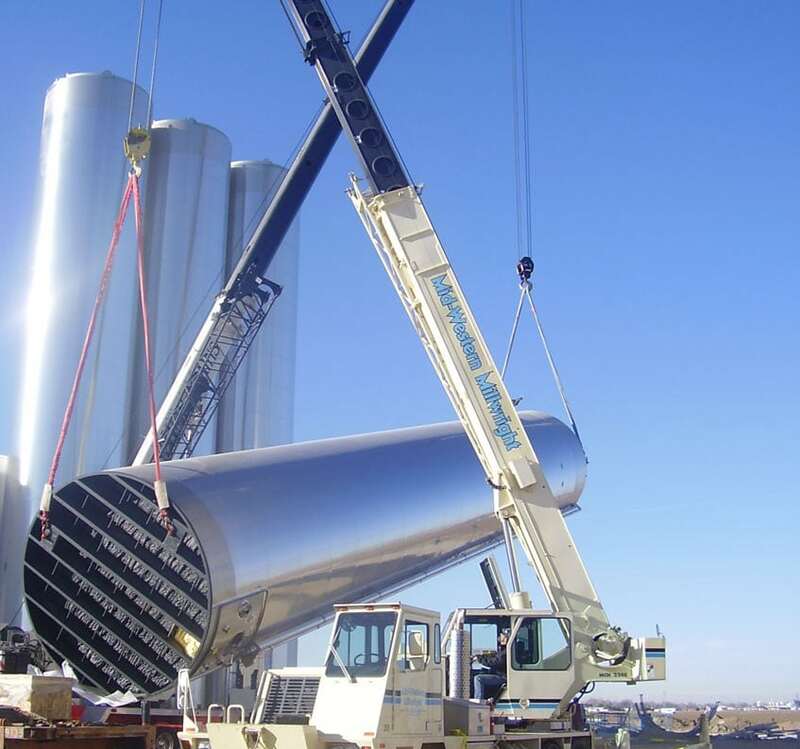 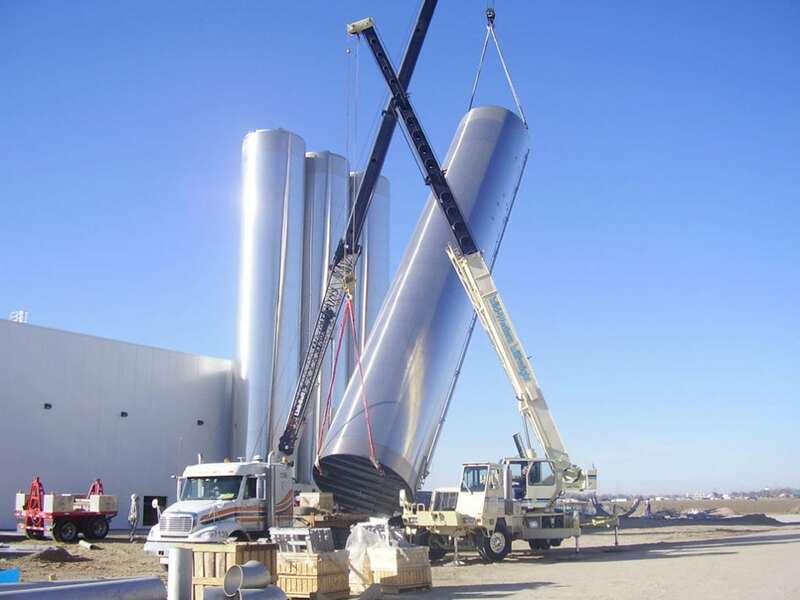 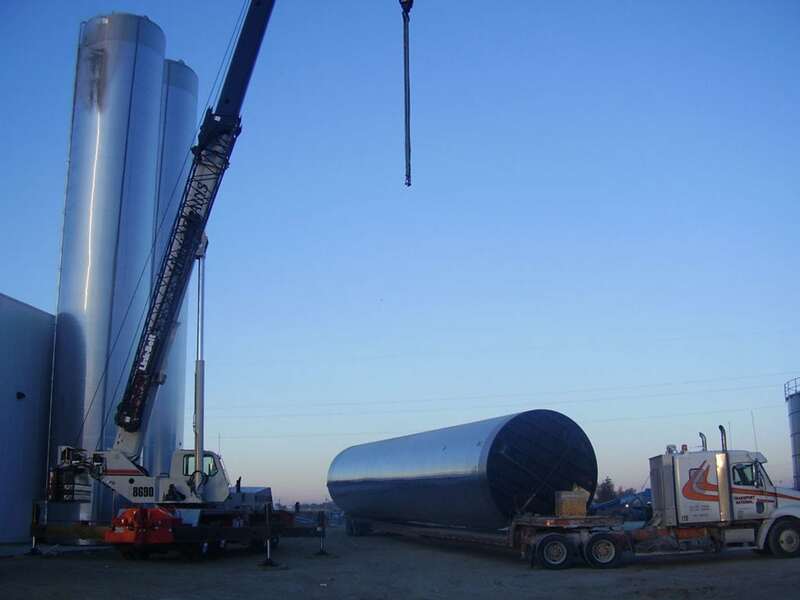 Midwestern Millwright was contracted to transport and hoist these storage silos into their final positions. 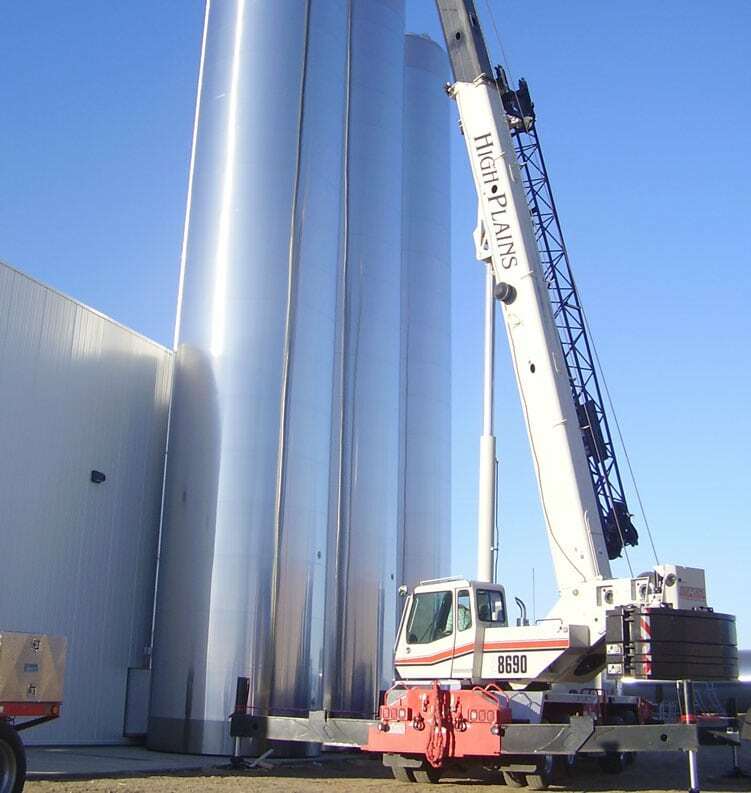 Having worked with storage containers of all shapes and sizes, Midwestern Millwright has the know-how to deploy this storage system safely and efficiently. 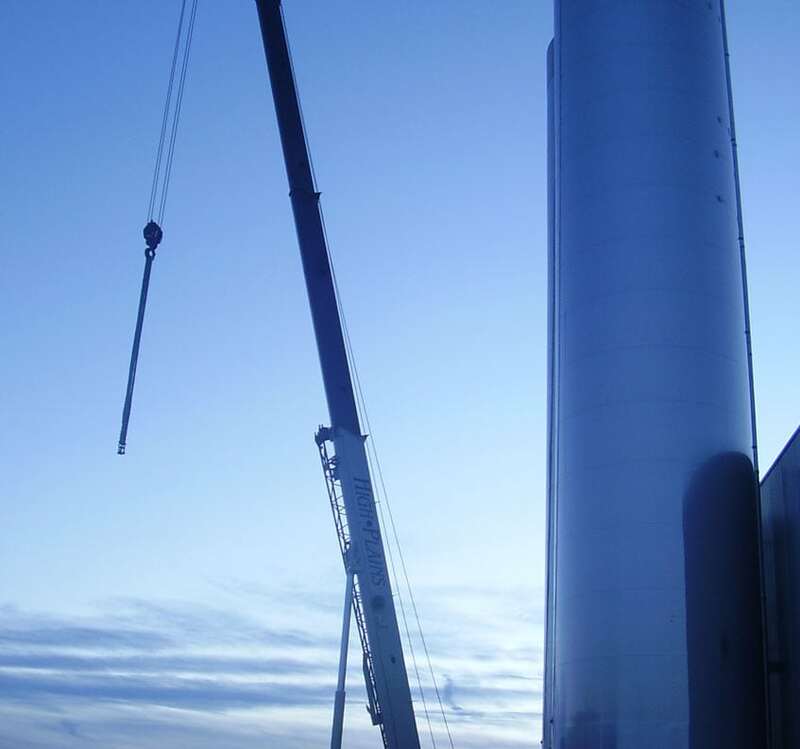 Imagine the complexities of hoisting so large an object and standing it up on it’s end, using two coordinated cranes. 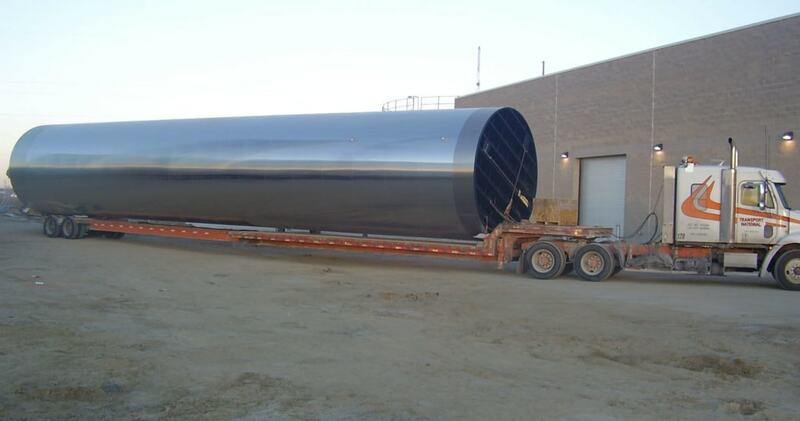 We were up to this challenge!